Since the beginning of time, mankind has regarded death with a sense of awe, fear and uncertainty. Some cultures have developed beliefs, rites and traditions to praise, honor, mock and even deter death. One of Mexico’s most popular traditions, one that has transcended frontiers due to its cultural diversity, is the Day of the Dead, a celebration that takes place November 1 and 2, in which people pray for and remember friends and family members who have died, to help support their spiritual journey. But what is this ancient tradition all about? Mexico’s indigenous people have celebrated death as a duality of life, part of the natural cycle, since pre-Hispanic times. Archaeological excavations have found proof of such celebrations in several ethnicities, such as the Aztecs, Maya, Purépecha, Nahuas and Totonac. 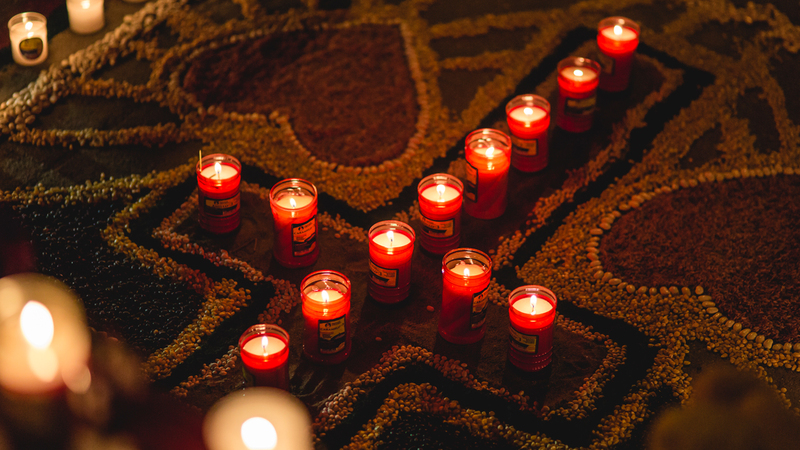 Upon the arrival of the Spanish conquistadors, these rites fused with Catholicism, resulting in the Day of the Dead. During the first two days of November, Mexicans honor their deceased by visiting their graves, tending them and adorning them with flowers, and praying. At home, the symbolic visit of the deceased is anticipated and encouraged by setting up an altar or shrine with the deceased’s favorite foods and beverages. A traditional Day of the Dead altar must include a cross, candles, flowers, incense, glass of water, photographs, tablecloth, tissue paper, liquor, food, fruit, candied pumpkin, music, pan de muertos (a traditional sweet bread prepared for the occasion), sugar skulls and salt on a plate. Placed together, all these offerings represent the four natural elements: earth (food), wind (tissue paper, moving with the slightest breeze), water (for the souls to quench their thirst after their long journey) and fire (a candle lit for each of the deceased). The cross symbolizes the four cardinal points, needed so our special visitors can find their way back. Mexico is unique in the way satire is used to mock death. 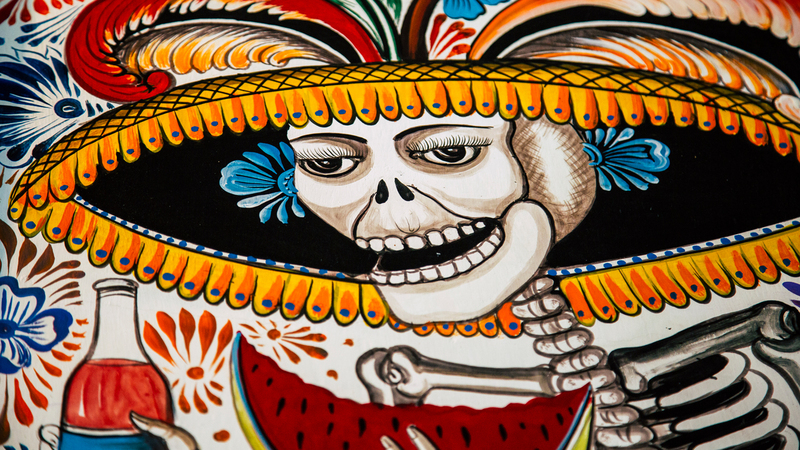 A classic example is La Catrina, an elegantly clad skeleton popularized by acclaimed engraver and cartoonist José Guadalupe Posada. This enigmatic character is usually portrayed as a high society grand dame, to convey the fact that death happens to all, regardless of social stature. Due to its unique blend of culture and tradition, Day of the Dead was inscribed in UNESCO’s Representative List of the Intangible Cultural Heritage of Humanity. Given the broad spectrum of activities surrounding Day of the Dead, it seems ironic that a celebration about death brings so much life to our city, with events for visitors and locals alike where tradition, music, gastronomy, dance, art and folklore take center stage. 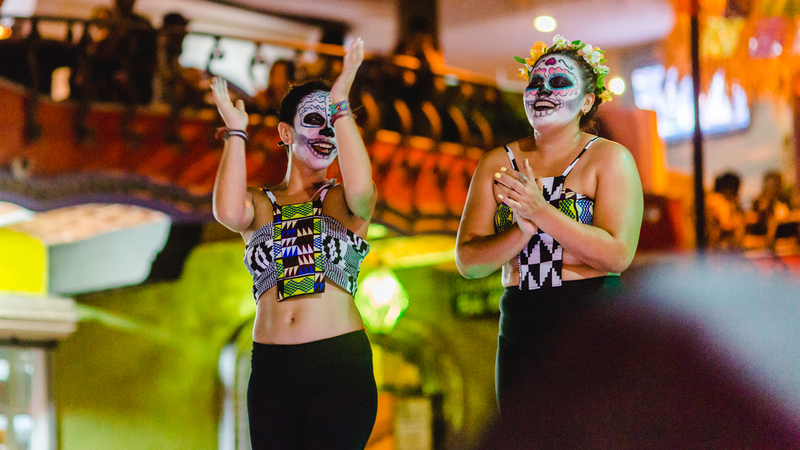 Most Day of the Dead festivities take place in Puerto Vallarta’s El Centro, with activities scheduled to begin October 29 and continue until November 2. During those days, you will be able to enjoy live performances and other attractions that will allow you to experience this age-old Mexican tradition. Neighborhood streets are dressed with special decorations that include catrinas, papel picado (perforated paper), and Day of the Dead altars, which is why we strongly recommend you take the time to explore the area. During the entire celebration, Parque Hidalgo (one block from the Malecón’s north end) becomes the stage for folkloric dance performances, traditional music, plays and death-related storytelling. Parque Lázaro Cárdenas (in colonia Emiliano Zapata) and Puerto Vallarta’s main plaza are other venues where a variety of events are scheduled, along with the display of special altars commemorating important personalities. The Municipal Market (next to the Río Cuale bridge on Insurgentes street) is a must-visit spot for those looking to purchase traditional Day of the Day bread and other edibles. Puerto Vallarta’s Malecón is another important venue, with a not-to-be-missed catrina parade that starts at Hotel Rosita and continues all the way to Los Muertos Pier. Puerto Vallarta’s 5 de Diciembre municipal cemetery is located near El Centro, and it is the oldest in the city. 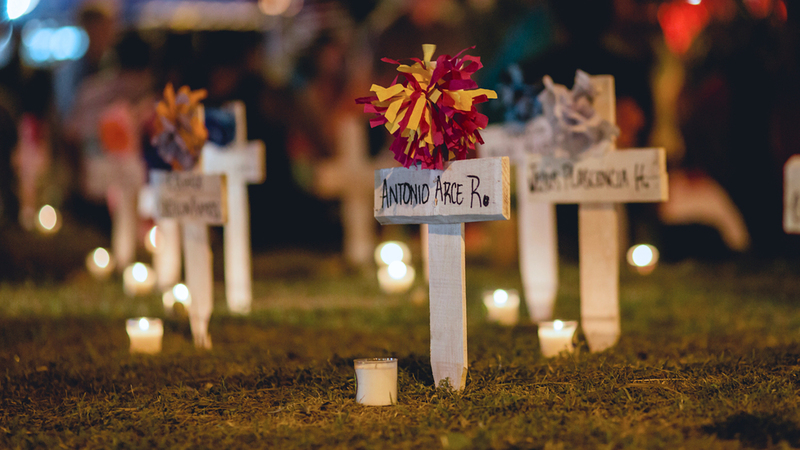 This landmark offers a one-of-a-kind opportunity to folks looking for an insider’s view of the way locals honor their deceased during Day of the Dead. Expect families to gather there on November 1 and 2, placing flowers and offerings on their loved ones’ graves and remembering them with their favorite music. A visit to the cemetery is also an ideal opportunity to purchase fresh cempasúchitl, or Mexican marigolds (Tagetes erecta), used to commemorate the occasion and difficult to find during the rest of the year. If you are planning on bringing a camera (and you should), just keep in mind that time shared by families at the cemetery is more solemn in nature. As such, we suggest respecting their intimacy by keeping a safe distance and using your gear discreetly.